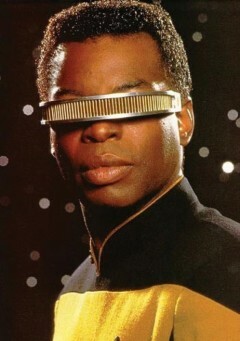 Geordi La Forge as a style icon? Perphaps Snoop Dogg has been raiding his Star Trek DVD box sets - how else to explain this look? Rap icon Snoop Dogg is the closest male version of Madonna in the entire industry – that’s a compliment by the way. Though hip hop purists may roll their eyes at the 39-year-old’s current fascination with the ridiculously popular electro hop scene, it’s hard to argue that no other male artist has shifted their style and persona to appeal to a number of demographics as much as Snoop. Having embraced country (‘My Medicine’), retro funk imagery (‘Sexual Eruption’) and now Euro dance and electro hop with David Guetta and the Far East Movement, it’s difficult to know what Snoop will attempt next, in his career and indeed, his fashion choices. With that in mind, it disappoints us to have to pull up Snoop for his choice of attire at last week’s 2011 MuchMusic Video Awards in Toronto. If you guessed, 'most of the entire performance? ', you'd be correct. Not giving Snoop even just a few bars and instead relying on his Auto-Tune chorus was a mistake we reckon, while the slightly embarrassed look on his face Snoop while surrounded by hyper-active short men confirms our suspicions. The biggest cause of our umbrage, however? Those damn sunglasses. Though many have long written off the rap legend's career, we've always had a soft spot for Snoop and believed that despite a few duff albums in the last decade, he still has the ability to crank out at least one truly memorable single every couple of years. We can forgive any of his recent musical output but we cannot forgive those sunglasses. 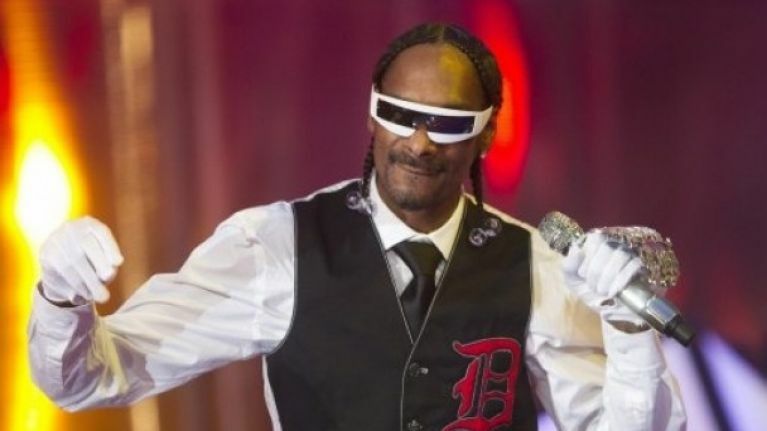 Resembling Geordi La Forge's visor from Star Trek: The Next Generation, Snoop's eyewear is so ridiculous that even Will.i.am would laugh at its implausibility. Perhaps it's an attempt to appeal to the younger audience demographic at the event but no 39-year-old, no matter their musical status, should ever appear in public dressed like that. Such is the Geordi visor's dominance, we don't even have time to go into greater detail regarding the rapper's beaded dreads side parting, white magical gloves or specialist microphone. Though we applaud Snoop for boldly going where no rapper has gone before, we don't see this looking taking off until at least 2364.